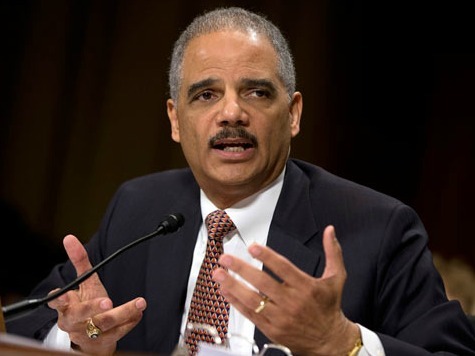 Rep. Louie Gohmert (R-TX) praised the resignation of Attorney General Eric Holder on Thursday, saying that Holder is the worst attorney general in his lifetime–including John Mitchell, Richard Nixon’s attorney general who went to jail for covering up Watergate. Additionally, he has prosecuted more people for leaking–which sometimes is an effort at whistleblowing–than all other attorneys general added together. He has not only failed to investigate crimes and potential crimes occurring in this administration, he has been the Cover-Upper-in-Chief and will be sorely missed by those in the administration, like Lois Lerner, who want to disobey the law and flaunt it. It is my sincere hope that the Obama administration will appoint an attorney general who is reputable and truly desiring to uphold law and order for all Americans–not just cater to this administration’s whims and ideology.